If your home has been overtaken by an unexpected storm recently, don’t panic. This can be a very stressful time, and most of the time you don’t know who to call. Luckily, Fire Water and Storm Pros of Wisconsin are just the company for the job. We have extensive knowledge in this field, and know exactly what we are doing when it comes to restoring your property. Whether it is a broken window, a few missing shingles on your roof, or a flooded living room, we can handle it all! No job is too big or too small for us, and we will take any job on with confidence. We know some may think they can restore their property on their own, but more damage can be sustained that way. That is why it is best to contact a set of professionals who know what they’re doing. If you are facing storm damage, the first thing you should do is to notify your home owners insurance company as soon as possible. Your home owners policy may require you to make temporary repairs to protect property from further damage, and this should be discussed with your insurance representative. the claim process will begin in one of two ways, depending on what insurance company you use. You may have to file a proof of loss form first or you may need to contact your insurance company so that they may send out an insurance adjuster to your property, who is professionally trained to assess the storm damage that has been done. It is vital to take an inventory of what has been damaged, because the more information you have about your damages, the better your claim will be. It is also good to have an experienced storm damage restoration company come to assess the damages done by a storm. Storm damage restoration experts, such as the ones at Fire Water and Storm Pros of Appleton, Wisconsin will often find storm damages that even seasoned insurance adjusters will miss on inspection and assessment of your property following a storm. The experts at Fire Water and Storm Pros can perform a complete storm damage assessment, finding any and all storm damage done to your property and work with your insurance adjuster to make sure you get the most possible damages reimbursed under your insurance policy. 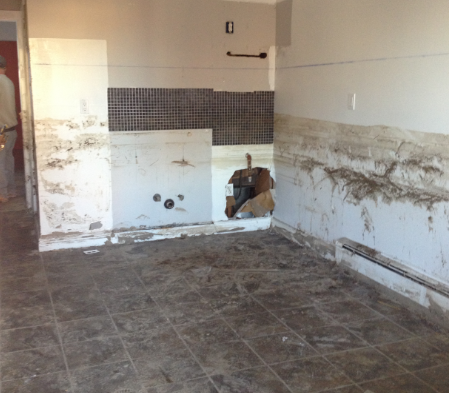 Fire Water and Storm Pros is a storm damage restoration company serving all of Appleton, Wisconsin and the surrounding area of Milwaukee & Outagamie County, Wisconsin. With over 30 years of extensive experience and expertise in storm damage repairs, Fire Water and Storm Pros is your total solution to storm damage. We are a FEMA certified contractor and we have worked in every major disaster in Wisconsin over the last decade, restoring our customers properties and belongings back to pre loss condition. For your convenience, we are open 24 hours a day, 7 days a week. We can typically arrive on scene within one hour of your call for help. At Fire Water and Storm Pros we put customer satisfaction as our number one goal . If you have been the victim of storm damage, give Fire Water and Storm Pros a call today for a storm damage assessment and begin process of clean up, restoration and repair process today.